I was particularly happy with this article. 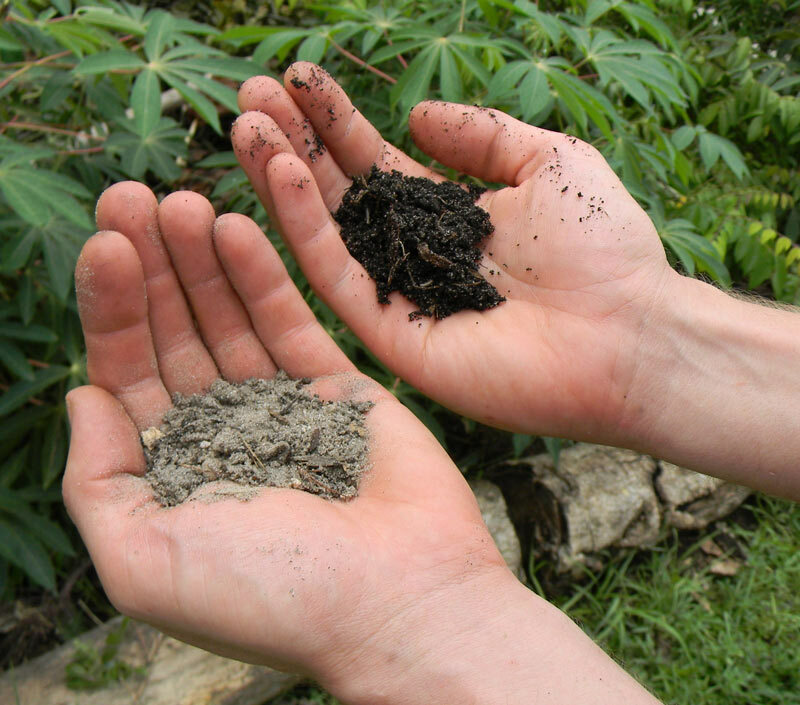 Getting to a point where you know how to build your soil = arriving as a serious gardener. The soil is full of life - steward that and your plants will respond with glorious abundance. Great article. The long and short of it is you need to work the soil in these sorts of areas. I find when I make piles of branches, with a few logs on top to hold them down and gradually compact them, and keep piling grass and leaf mulch on top, trees turn back into soil surprisingly fast (by fast I mean I will have a nice compost heap the following year or two). Throw in some ash from biochar and you end up with really deep black soil full of earthworms. I have a couple dump truck loads of leaf mulch a lawn service left, and every week I take my lawn tractor with its trailer, fill up a few loads and distribute around my gardening areas. Although lately with all the rain, that leaf mulch is looking more like soil already. When I mow the lawn, I pull a leaf collector behind me and repeatedly dump the cuttings in my gardening areas. It's all about the mulch, baby. I really need to get over there and see your plots again. I think it's awesome that you gathered so much stuff, plus made char. Let me guess? OM, add OM. Yeah, I'm just going to sit and mediate over my soil "Ommmmm, ommmm, om mani padme hum."